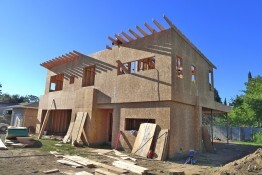 The second story is up on Henry + Associates’ newest residential design, the Indie House. 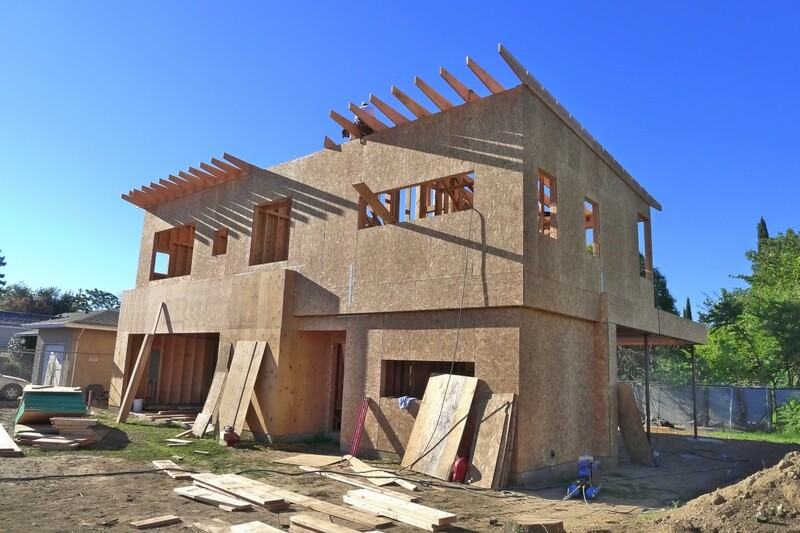 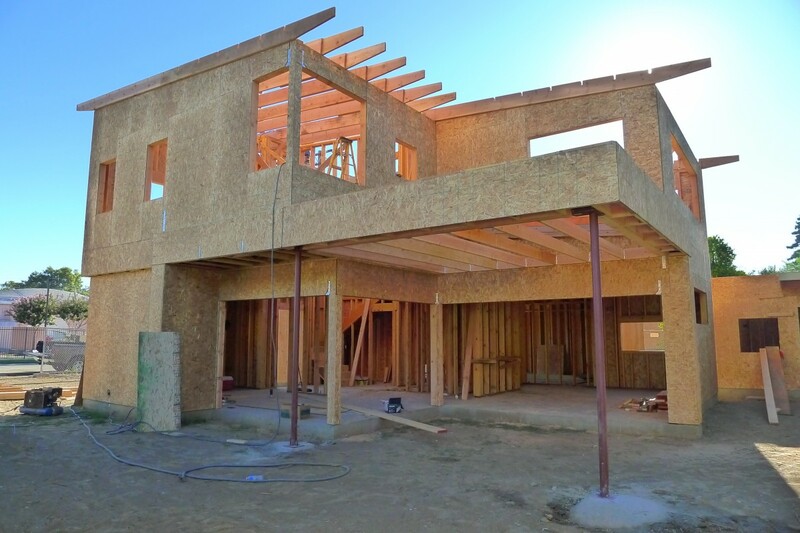 The exterior sheathing is in place and the roof joists and rafters are visible on this home just off Broadway at 20th Street in Sacramento. 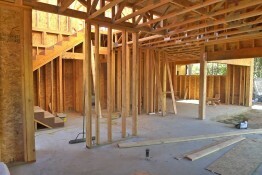 The home is taking shape and you can see the layout of rooms, doors, windows and stairs. 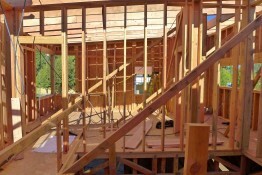 Details such as the 3-foot eave extensions are noticeable as well as the variety and shape of windows. 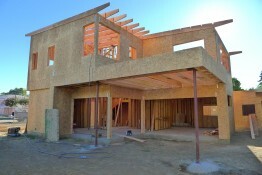 The frame is built with 2×6 studs rather than 2×4, and the wider studs permit the use of thicker insulation. 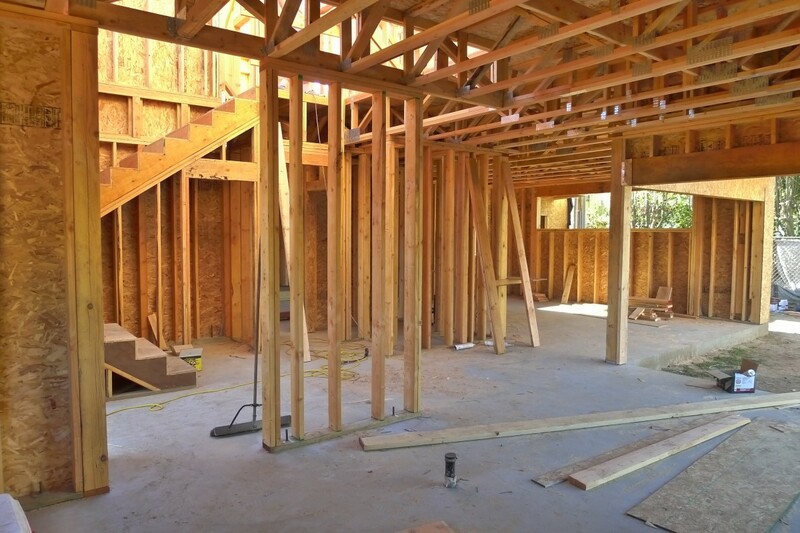 A 2×6 stud wall gives you 5 1/2 inches of space for insulation compared to a 2×4 stud wall, which allows only 3 1/2 inches of space. 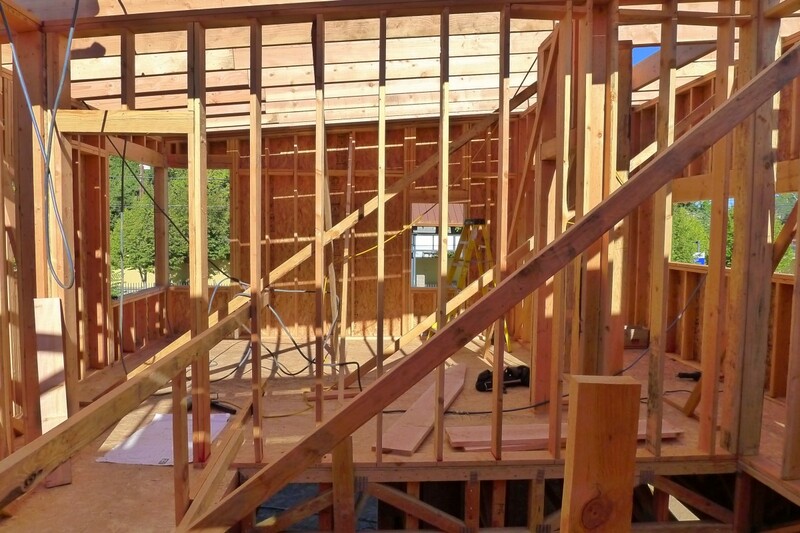 Here are a few photos of the construction, including the back view where a 12’x15′ patio surrounded by sliding glass doors will create an indoor/outdoor feeling.